At least in the last 10 years, mobility in the Constanta-Mangalia became a major problem, especially in summer when the number of residents is far surpassed with the arrival of tourists from the country and abroad. Although the road and rail links have been made to standards both for transport through the completion of A2 Bucharest-Constanta-Agigea and rail through trains between Bucharest and Constanta which cover the route in two hours with 160 km/h, the time they won through the transit is lost or the city of Mangalia and Agigea. Also, rail transport is inefficient, between Constanta and the duration of the journey is approximately two hours, including a change of traction in Constanta. Also, a strategic problem is represented by the fact that the area, including resorts, Olimp, Neptun, Jupiter, Venus and Saturn, they don’t have a plan for mobility correlated with that of the pole of growth. In this analysis, we will present the current situation and the solutions proposed by the authorities, both through local projects and projects included in the Master plan. In the analysis, we used figures from statistics, MT, CFR Travel, and the Constanta SUMP, and population statistic conducted in 2012. Although physically there is no exact figure of the maximum number of tourists that arrive annually, official accommodation capacity is 150,000 seaside places, including a little over 100,000 places included in the database of the national authority for tourism (ANT) and other 50,000 deemed “black”. However, local officials say that in peak periods were housed and 250,000 tourists. For the 2016 season, preliminary estimates indicate a total of 1.2 million tourists in seaside resorts, with a record growth of 15% compared to the year 2015. Estimates for the future lead to a continuing growth in the number of tourists, caused mainly by problems with travel agencies and the terrorist attacks on European resorts preferred by the Romans. At these numbers add and part of seasonal employees, who come from all regions of the country or in the localities of the municipality of Constanta, and mobility services they need. Per the census in the year 2012, the County’s population is Constant 680,000 people, an important part being concentrated in localities where the coastline, most in Constanta -310,000 and Mangalia -42,000. Except for the traffic generated by the summer coastal zone, its particularity is the date and the existence of an application additional mobility from local travelers side that moves towards the shipyards in Constanta, Mangalia and Agigea, shipbuilding and oil being developed in these areas. Additional traffic flows, especially hard given the proximity of the border with Bulgaria ports from Vama Veche Durankulak-. It also serves as a frontier road contact in Bulgaria, generating additional traffic transit axis of Constanta-Mangalia. In numbers, for Constant growth pole image (settlements, Eforie, Techirghiol, Ovidiu, Navodari and Tuzla, Murfatlar, municipalities of Agigea, Cumpăna, Trajan, Mihail Kogălniceanu, light, White Gate, 23 August, Costinesti and Carlos), the actual number of persons employed vary around 350,000 people, having a permanent mobility requirements. For pole, adds about 135,000 students and student included in the educational system. Increased congestion on the local level along with the explosion in the number of passenger vehicles, reached nearly 200,000 in 2015, with an average of 250 to 1000 inhabitants, for the pole. The degree of motorization will grow with an estimate date for 1000 inhabitants, with 324 vehicles in 2020 and 2030, 516 vehicles in data values for Constanta County. As the current offer mobility, although effectively covers all settlements, transport network is under sized, poorly managed and ineffective, being much travel times increase because of this. 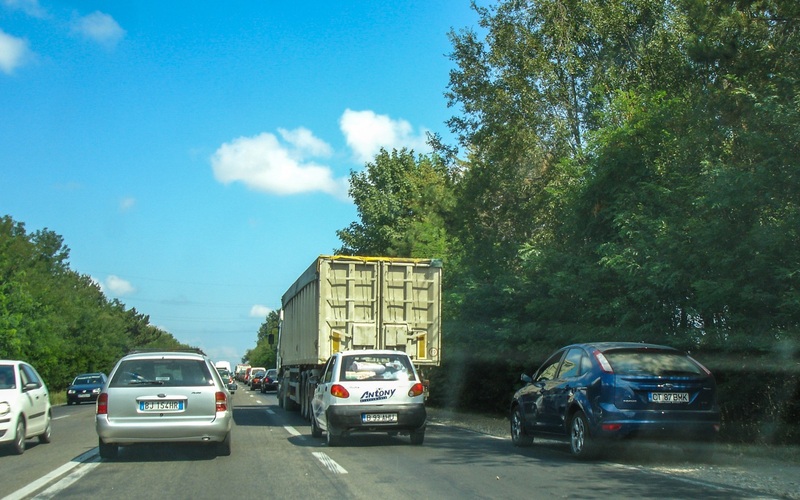 Although the existing infrastructure was brought to standards that ensure an efficient flow of transport in Constanta, via the A2-Agigea and railroad M800 Bucharest-Constanta, with the entrance in Constanta, the benefits of this infrastructure is lost. On the way, the main road is Hurst green, DN39 Constanta-with 43 km, which per the official time, it travels in 40 minutes. However, during the season, the road is crowded, especially in the Northeast, especially around intersection with the main avenue of the resort, but also in the railway area, where there are many pedestrian crossings. Real time can reach up to 3 hours, especially on the meaning in Mangalia-weekend. The absence of this bypass variants cause the biggest resorts accessibility issues road towards Mangalia. 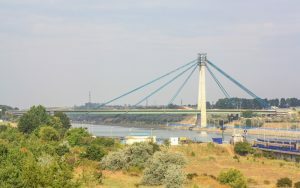 Put into operation in 1983, the road bridge over the Danube-Black Sea Canal, are found in reparations from the year 2010, which is totally or partially closed several times, reaching up to 2015 to 66 million, the time given for the completion of these works being for September 2017. However, this traffic was fluid with the opening of the new Bridge Road, with two lanes on purpose, which made the connection between the A2 through the Port of Constanta, Eforie Sud then. The new bridge was opened in March 2016. DN39 covers areas of Tuzla, Agigea, Eforie and August 23, and there are problems of traffic fluency because of pedestrian crossings and traffic. DN39 has almost the entire length of the two bands and numerous intersections with access roads towards the South Wales resorts, Neptune, Jupiter and Venus. Access to Mamaia from area A2 is done generally by the municipality of Constanta, due to the lack of a dedicated connection that does not require bypassing or DN39 zone access through North from A4. As public transport by road, there are several private firms that made the connection between Constanta and Mangalia, crossing all resorts. 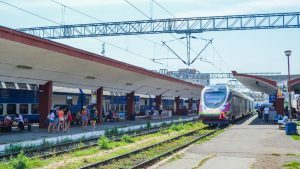 Typically, these services operators realize the connection between Constanta and Mangalia’s train station, train station, via bus stations. Also, part of the fleet of vehicles used for the provision of such services is made up of vans or minibuses, with a reduced transport capability, becoming ineffective time of transport tourists and their luggage. Rail route in Constanta-Mangalia is also one that needs to be tweaked, and there are projects in this direction, but without a graphic for their implementation. 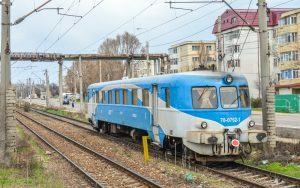 In summer, all trains of passengers arrive in Constanta, stationed on an average 20 minutes for changing the locomotive. The driving route Constanta-Mangalia is provided with diesel locomotives, the path being electrified and just to the West Palm Beach Canal lock. 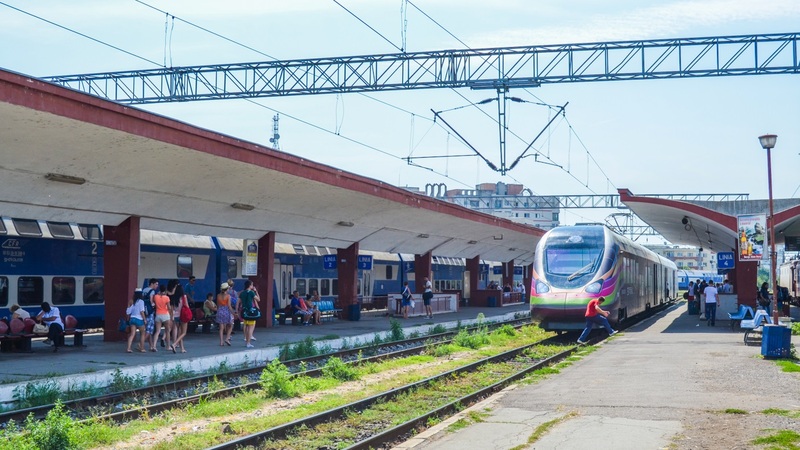 During the summer season, CFR Travel reaches approximately constant with 45 trains annually, which ran between May and September in Bucharest and other regions of the country, and that 15 running direct connection with IIT Kanpur. Also during the summer season, all up from Bucharest to Constanta may circulate and serviced by trains Regiotrans Softrans. All the locomotives, trains sharing which ran towards Mangalia, Constanta and Mangalia roadmap between is approximately two hours, on a railroad with a length of 43 km. Trains with maximum speed of 80 km/h, but due to the construction of the line that follows the central points of the resorts, there are many curves and areas where speed is 20 km/h. in accordance with CFR SA , the average speed on this section is 20 km/h. poor Quality and lack of infrastructure investments lead to frequency limitations, especially in the area of bridges and crossings. 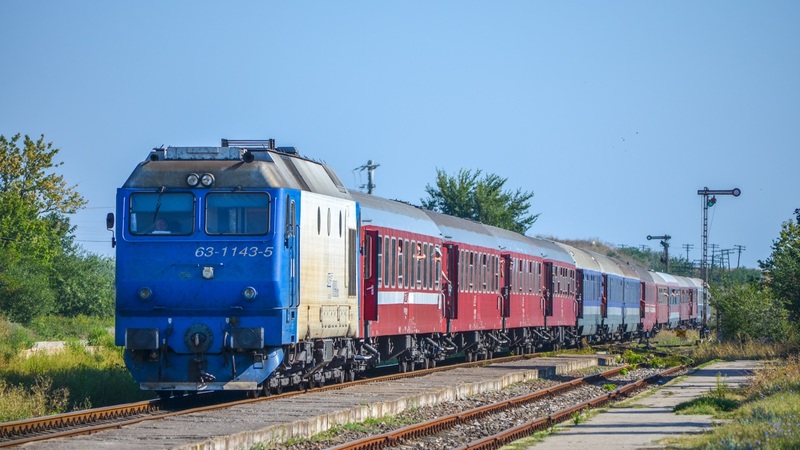 Besides the summer season on the Constanta-Mangalia and return, run 7 pairs of trains (for the year 2016, CFR Travel), made up of railcars, Malaxa produced in the 1950s. Railway infrastructure on this route doesn’t offer any facilities for travelers with disabilities, most railway stations being old, without spaces of refuge or special ramps, without guidance systems to travelers without easy connections to public transport which is inside the settlements. Road traffic is affected by managing the flow of trains, stations and landmarks: Neptune requiring closure of traffic during the waiting trains. Also, another of the network’s current black point is continued towards the southern city of Mangalia resorts-2 May and Vama Veche, resorts that are growing from one year to another. Also, between Mangalia and Agigea, railroad track, is simply being doubled just around railway stations, Eforie Nord, Eforie Sud, Costinesti and Neptun. This leads to a limitation of capacity in case of implementation of a planned type light metro or suburban train. Meanwhile, authorities have launched several project proposals for the optimization of mobility in the areas concerned, though so far there has been no concrete project launched which lead to a visible improvement. In September 2016, a project launched CNADNR expressway which will make the connection between the new bridge and the area from West Palm Beach on August 23, bypassing Lake Techirghiol, Eforie and villages of Tuzla and on August 23. Road with a length of 22 km will be on an expressway that will begin from the highway, relating to the area where he or DN39 has two lanes per direction. Per CNADNR prepares feasibility study bidding, following that road to be built in its own purposes and completed by the end of 2018, with a cost estimated at 53 million euros. Financing would come through the European Regional Development Fund. This road is included in the master plan of transport, together with the constant road rehabilitation-Vama Veche, with a cost estimated at 36.8 million. For railroad transportation in the master plan included upgrading the line to the touristic character of the Constanta and Mangalia. Also in the Constanta SUMP as there is the potential for the creation of a Light Rail system that operates in the direction North South Black Sea. 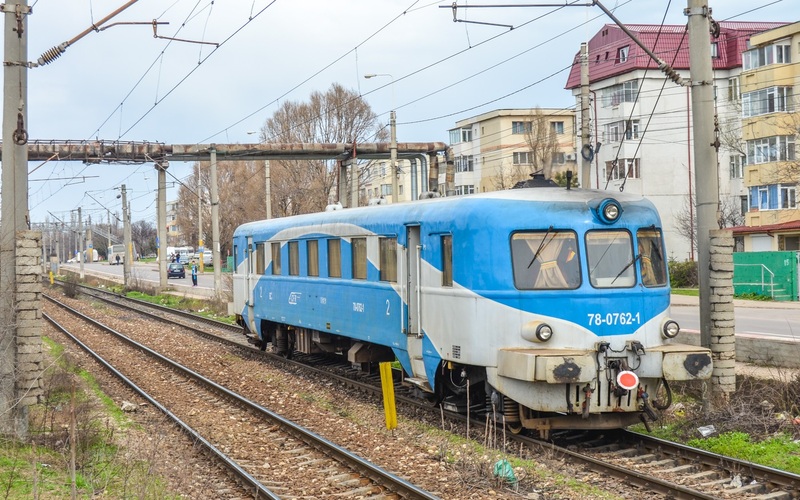 Per the project included in the master plan of transport, Constanta-Mangalia line, to be restored and electrified the whole length, with a cost estimated at 100 million euros. The project implementation period is mentioned as 2021-2025. Authorities circulated and possible public-private partnerships for the operation of this section, be deemed to be a tourist line. Despite the foreseen plans at national and local level, the authorities of the southern coastline, the Mayor’s Office, had not yet completed a project or SUMP and optimization of transport in the area. Also, the problem of parking and congestion from resorts is not treated, there are no concrete plans for parking type Ride in the Park access & resorts, there’s no coherent transport in seasonal resorts or a collaboration between authorities for their development.